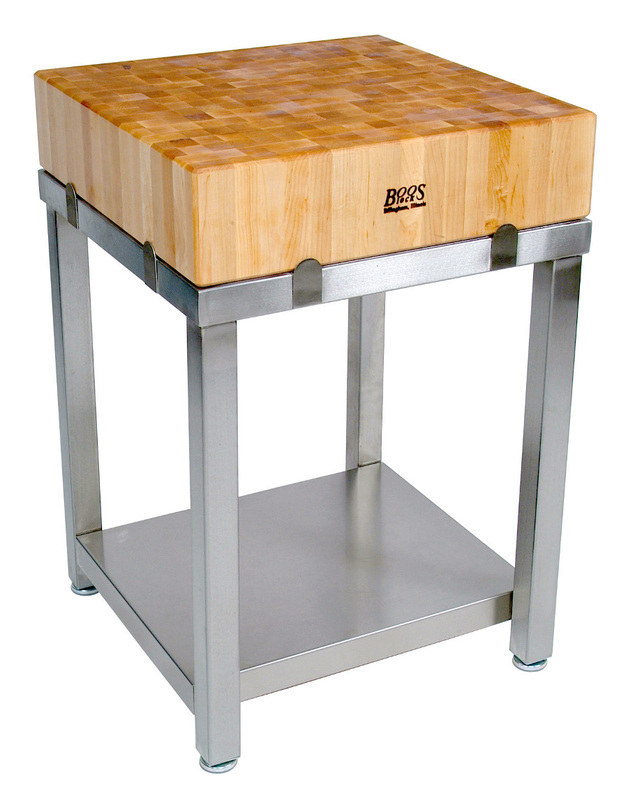 Boos Maple Cucina Laforza - 6" Butcher Block on Stainless Steel, 24"x24"
Shipping and delivery info: Block alone ships UPS. Base and base/block combo ship Freight. 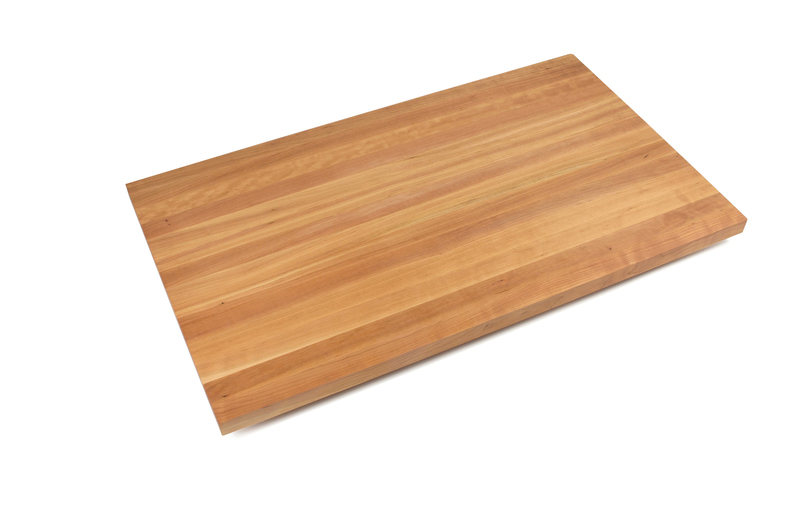 Meaning kitchen strength or force in English, Cucina Laforza is the perfect name for this hefty butcher block with or without its stainless steel base. 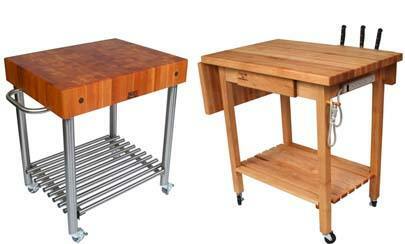 What a beautiful way to add power and elegance to your kitchen! 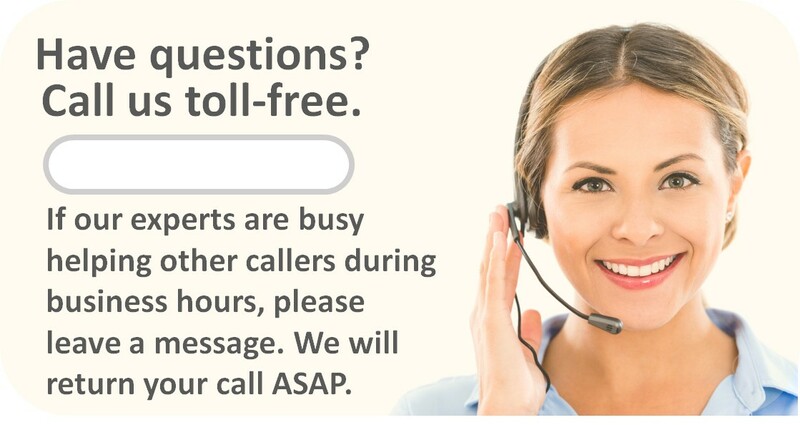 It’s available as either a stationary or portable unit. This sturdy block made of the finest hard rock maple, is end-grain style. That means that the ends of wood strips form the block’s surface. When a knife cuts into it, millions of wood fibers absorb the blade’s edge. 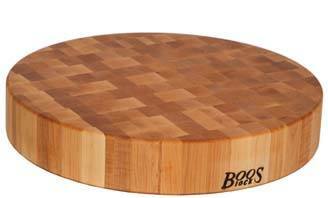 So knives dull less quickly and the block’s fibrous surface is less likely to suffer unsightly nicks and gouges. 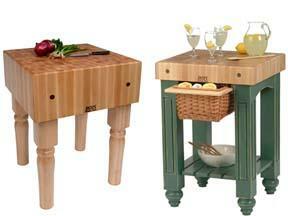 The Cucina Laforza block is 24 inches square and 6 inches thick. It alone weighs over 100 pounds! Don’t worry; the optional stainless steel base that supports this monster block is up to the task. It’s made of 300 Series 18/8 food service grade stainless steel that is commonly used in making food processing equipment. It resists stains and rusting. 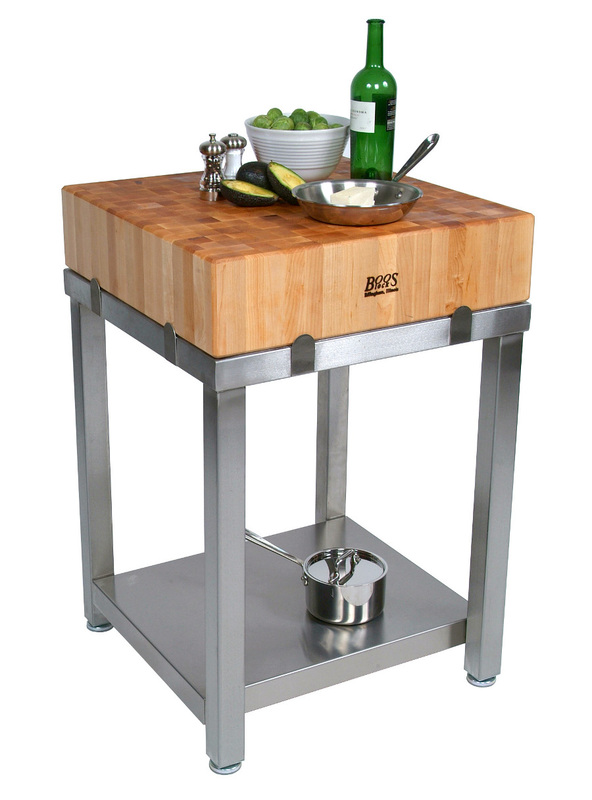 The base includes a lower shelf that’s a convenient and sturdy place to store ingredients, pots and pans or other cooking equipment and supplies. 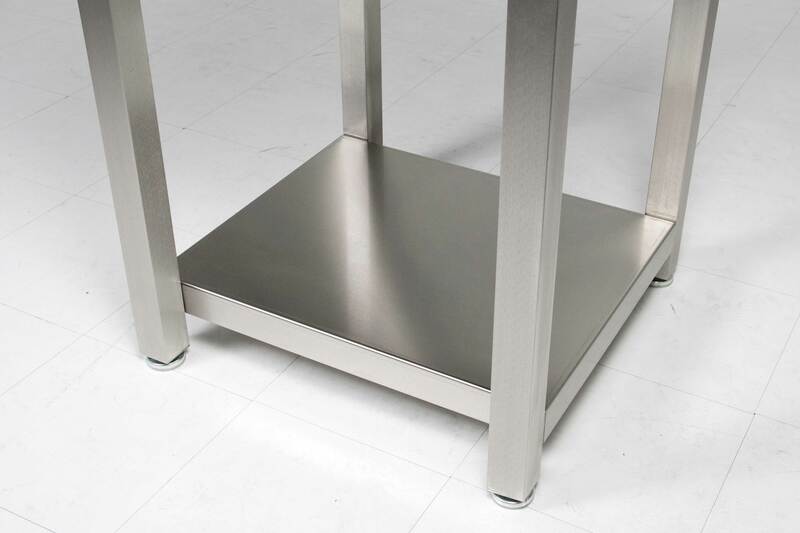 The feet of the frame are adjustable so you can level it on any surface. If you’d like the convenience of mobility, simply add caster wheels to your custom configuration.